So the Greek weather gods have left our area alone for a few days. Their focus has been elsewhere, namely creating Hurricane Arthur. Hurricanes, cyclones, and typhoons are all the same weather phenomenon, by the way. Their differing names have to do with the location in which these storms occur. Cyclones occur in the South Pacific and Indian Ocean. 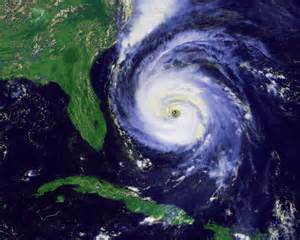 In the Atlantic and the Pacific Northeast, hurricane is used. The same storm in the Northwest Pacific would be called a typhoon. In keeping with the theme of weather gods, those Theoi Meteoroi. Who might be responsible for such a storm as Hurricane Arthur? This god’s name gives a clue — Typhon. Remember in several posts past, I mentioned the ugly children of Gaea (Mother Earth), forced by their father Uranus to go back to the cave womb from which they sprang? Well, Gaea had other children beside those giant Hecatoncheires and their beautiful siblings the Titans. But who was around to father them? I find it interesting that the dark and light are dualistic entities. Erebus for example is male and Nyx is female. The same for Aether and Hemera. 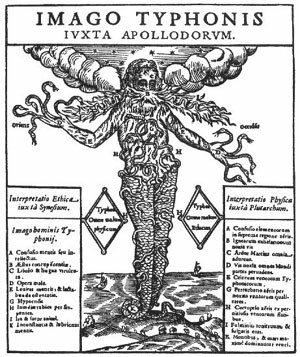 In what could only have been a whirlwind romance (I crack me up), Gaia the earth had a son fathered by Tartarus the bottomless storm pit. Their son was the monster named Typhon. According to the myths, fire-eyed Typhon was so tall his head touched the stars. He had the torso of a man, but his legs were enormous coiling snakes that writhed and hissed as he walked. His hands consisted of 100 deadly serpents and his head was host to 100 more. Odder still, each snake screamed the cries of various animals. He also had hundreds of wings covering his body. Yeah, that’s a monster. Other versions of the Typhon story have him as the son of Hera. A son conceived without a father. That’s enough for today. Monday ~ more on Typhon. For 100 days, I’ll post something from my chosen topic: Clichés. There are 74 entries to come. Today is Author Paris Brandon’s blog day. Find my novels wherever books are sold. 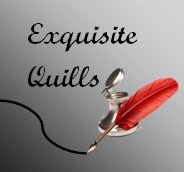 This entry was posted in Past Posts - you'll never know what you'll find and tagged Greek gods, Greek myths, hurricane, Romance, Rose Anderson, Theoi Meteoroi, Typhon, weather, weather gods. Bookmark the permalink. I have a granddaughter named Chaos Nicole. When she was young wherever she went the room would look like it had been hit by a powerful storm. All she had to do is walk through a room and everything would be scattered. Now she goes by he middle name and she will be a mother some time this month. I hope it will be the 23. That is when my great granddaughter Alexis will be five. Chaos’ sister Andromeda is Lexi’s mom. A little tidbit about Arthur. in 2002, 2010 and 2014 there were hurricanes named Arthur. All three took aim at North Carolina Outer Banks. 2014 was the biggest. Another from a Weather Channel reporter in Nags Head, NC showed a picture of the sign for Awful Arthur’s Oyster Bar. He said people kept coming up to have pictures taken with the sign and all the Awful Arthur’s T shirts sold out. Your granddaughters have fabulous names! We considered naming our daughter Cassiopeia. Cassiopeia would have fit right in. Family naming conventions are interesting. My first Name was my dad’s middle name. My middle name and my oldest son’s middle name are the same. My second son’s first name is the same as my wife’s second brother’s middle name.